I enjoy teaching one-to-one because I can be creative, give students hands-on learning opportunities, and do everything focused only on them. I work really hard to make learning fun but also rewarding for my students. Each session is unique because no two students are alike. You are in control, I provide all the materials and lessons that are specific to your needs and goals. During each session we will usually begin with 15 minutes of free form speaking activities. These are always fun! In each lesson, I cover all four skills: speaking, listening, reading, and writing. We do this by going on short field trips, playing language games, listening to songs, and countless other exciting activities that will help you remember what you’ve learned. Everything is interesting! I create a lot of my own activities and interactive quizzes for each student. Everyone also gets his or her own private page through this blog with extra materials. 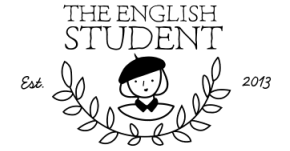 Please send me a message here of your English needs and I will send you my current pricing list for one-to-one and online lessons. I schedule a free one-hour session with you before any lessons, so you could get to know me and I could get an idea of your level, goals, and background. Thanks for your interest and I look forward to meeting you!